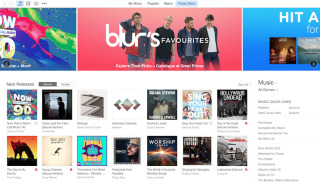 Will Apple's iTunes streaming service blow its rivals out of the water? | What Hi-Fi? Will Apple's iTunes streaming service blow its rivals out of the water? Research in the US suggests that Apple's forthcoming music streaming service could obliterate its rivals when it launches later this year. Tidal may have grabbed all the headlines with its celebrity-packed US relaunch on Monday night, but there was an elephant in the room - Apple's $3bn acquisition of Beats Music and its forthcoming revamp under the iTunes banner. In a blog post on the MIDIA (Media Insights and Decision in Action) website, Mark Mulligan has been looking at some of the figures behind the streaming market, and how Apple - as ever - could shake things up. It makes fascinating reading. According to MIDIA's research, nearly a fifth of US consumers say they would would pay $8 a month for an Apple music streaming service, rising to 28% among iOS users. If just 15% of Apple's total 500 million iTunes users adopted the streaming service, that would grow the number of subscribers globally by 75 million - far more than the 15 million paying subscribers Spotify has. Among existing music subscribers, 63% say they would be "likely to subscribe" to an $8/month Apple service. "Apple has lost a lot of its most valuable download buyers to services such as Spotify, Rdio and Rhapsody and it will expect to win back the music spending of some of those customers," says Mulligan. Whether Apple will succeed in persuading the record companies to allow it to undercut rivals such as Spotify, which charges $10/month for its Premium service, remains to be seen. Rumours suggest the big music industry players aren't keen on the idea. As for customers who already download music, rather than stream, 39 per cent say they would consider subscribing to an Apple streaming service. Mulligan adds that "it is no coincidence that this [iTunes streaming] will likely be Apple's first app developed for Android too". Winning over customers on both iOS and Android is key. The report also found that 8 per cent of respondents were "very likely" and 12 per cent "likely" to upgrade to a newer iPhone or iPad if they got a subsidised $6/month music subscription. A special "music edition" iPhone or iPad, with two-year free music subscription, also appealed to 24 per cent of respondents. "Apple is entering the the subscription music market largely as a defensive measure, to reclaim market leadership and help to slow the leakage of some of its most valuable customers out of the iTunes ecosystem. But if it can find an elegant way to blend the best elements of iTunes Radio, iTunes, Beats Music, Genius and the App Store, it could end up with the most comprehensive music offer on the market." Apple is expected to unveil its revamped music service at its Worldwide Developers Conference (WWDC) in June. MORE: Can Tidal take high-quality audio to the mainstream?